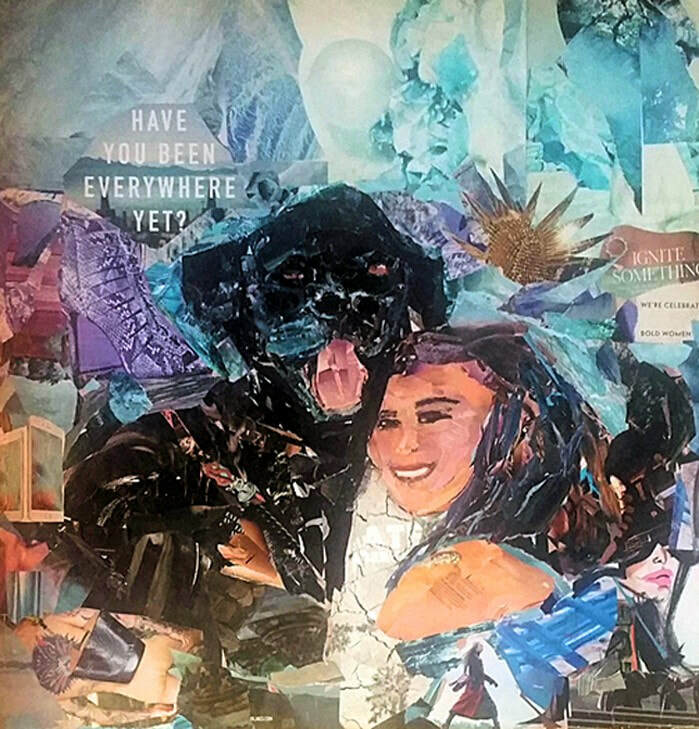 Dance in Light of the Moon, acrylic, watercolor, collage, 24"x30"
Gratitude, watercolor and collage, 36"x16"
Then and Now Silicon Valley, acrylic, watercolor, collage, 26"x20"
Just A Woman, collage of magazine pieces on a board, 30"x30"
New Man About Town, collage of magazine bits on a board, 30"x30"
Travels with Sigmund Freud, collage of magazine bits on a board, 30"x30"
I am an experimental artist working with collage, watermedia, and mixed media. Shapes, patterns and texture, plus a touch of whimsy are elements of my work. 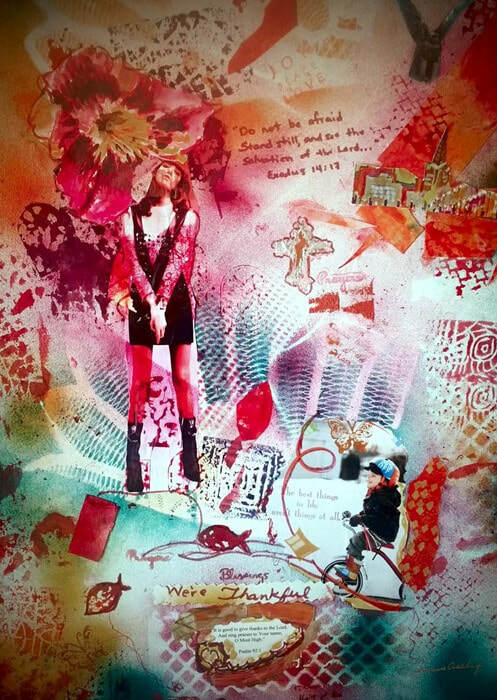 I create collage from magazine pieces, decorative paper and/or my watercolor and acrylic papers . 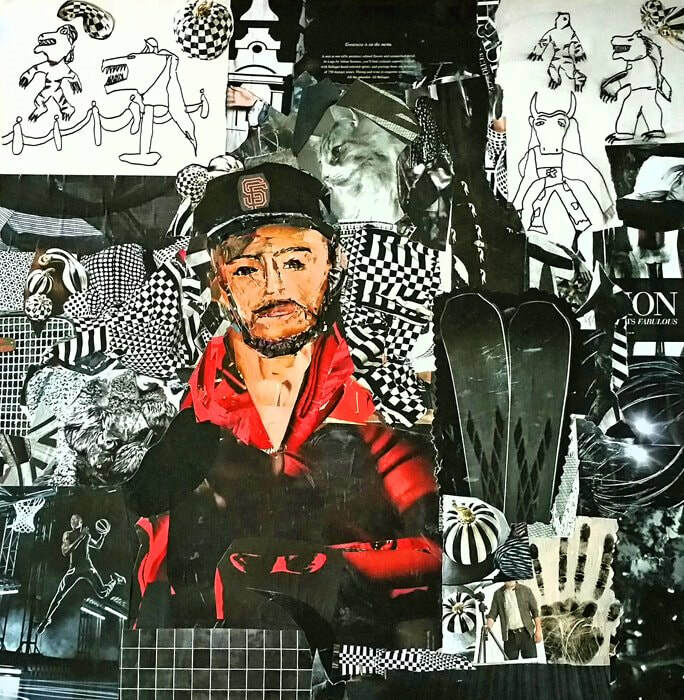 My collage portraits not only capture a likeness of a person, but add narrative and decorative elements to tell about a person and his passion for life. The subjects of the portraits are people known to me. I make a painterly face and surround the portrait with abstract textures. 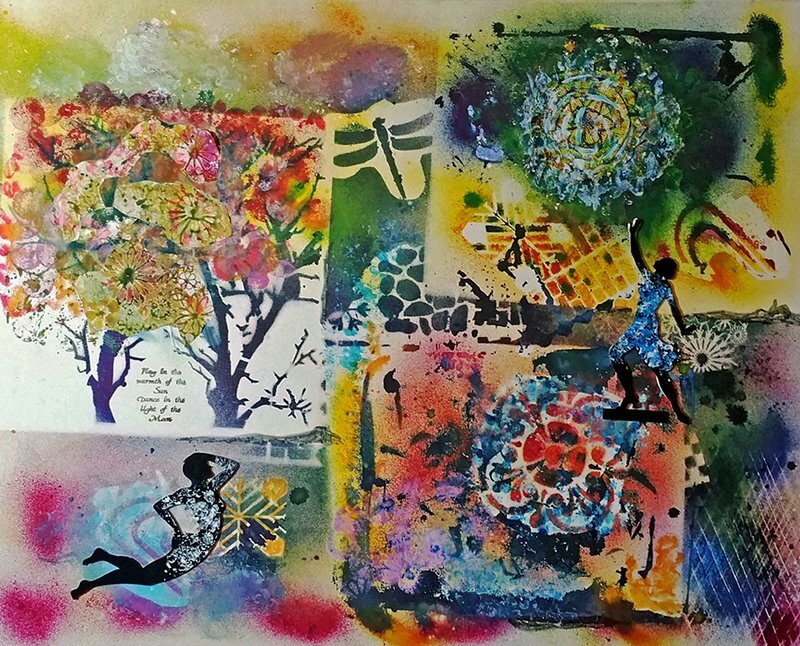 All of my collage and mixed media are UV protected with acrylic medium and the UV spray over all the work. Then a coating of wax is applied over the top surface for further protection. 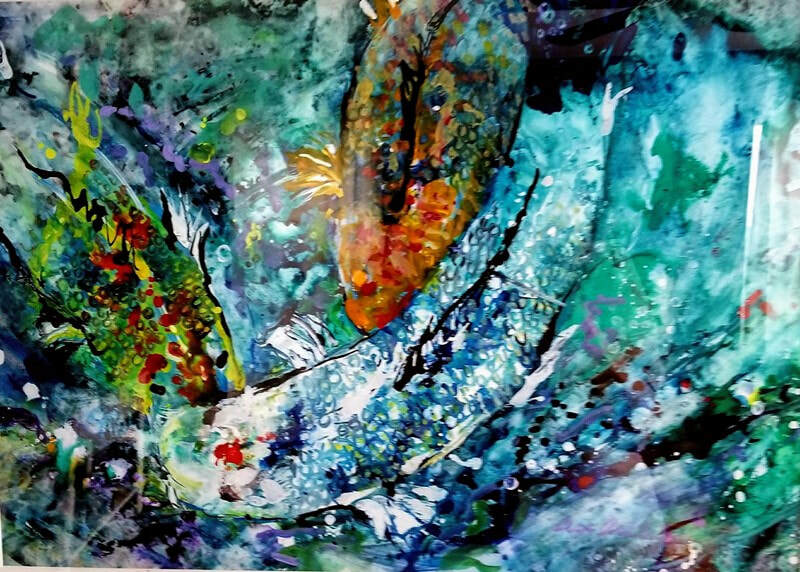 My passion is experimenting with techniques by mixing medias: watercolor, acrylic and collage Beginning with watercolors, I received a Signature Membership in the California Watercolor Association. In 2007, I was awarded a scholarship to the San Francisco Academy of Art. 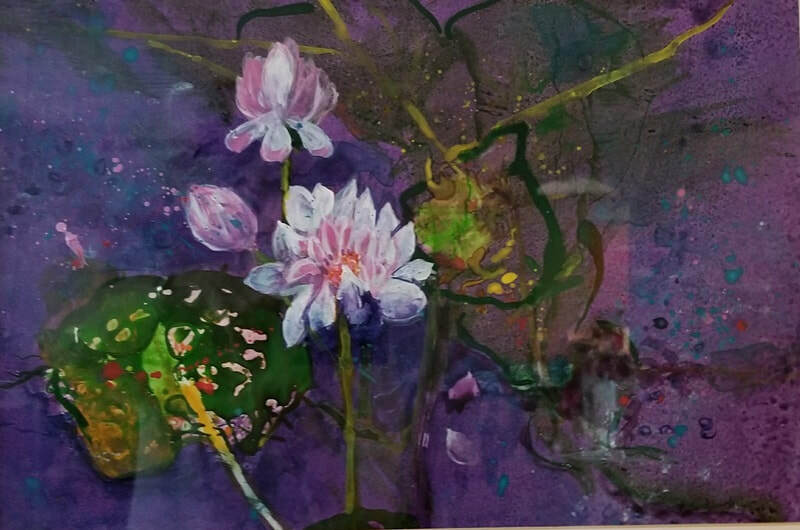 I have been in national shows with collage, mixed media and watercolors. 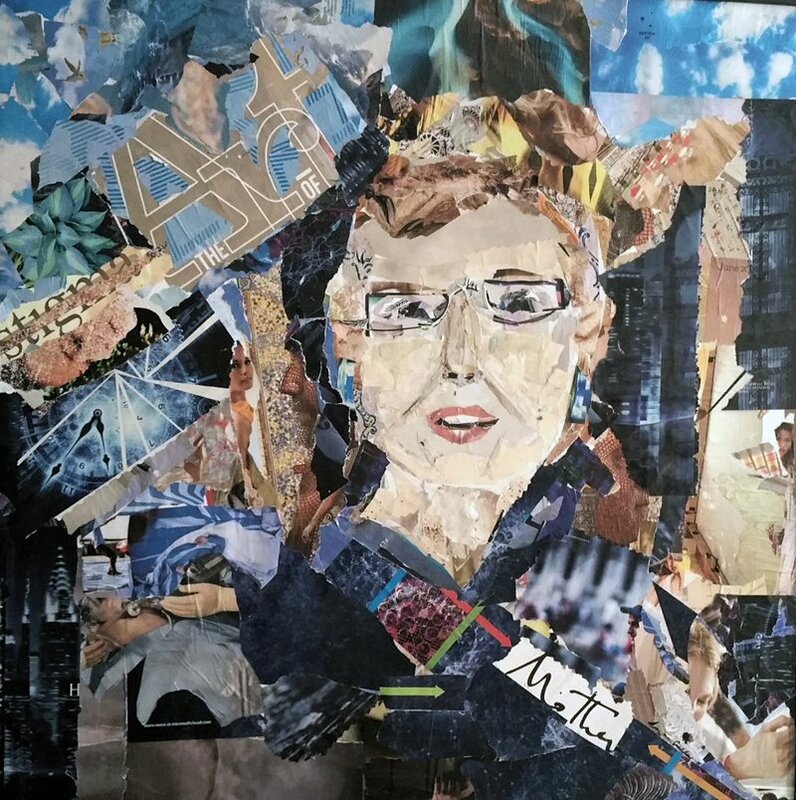 In September 2015 I was honored by the International Manhattan Arts Award for my collage, self portrait, Just A Woman. . My focus is on the human element whether I show cityscapes, artistic floral designs or portraits. Color is strong in my work and have been called a colorist. My work is presently in San Francisco Women Artists Gallery, 647 Irving Street in SF. 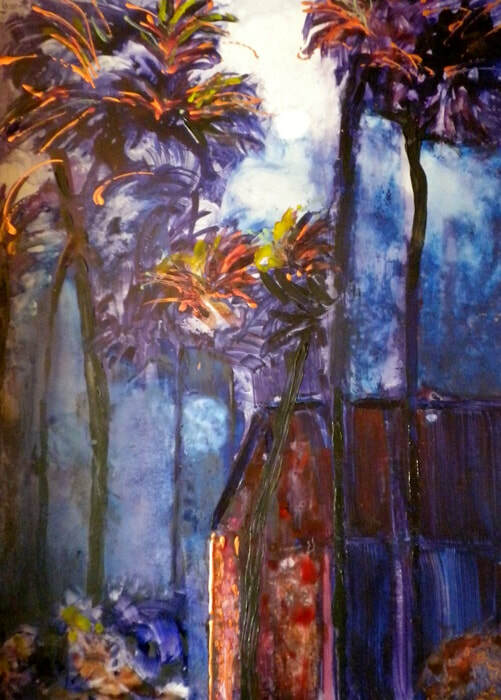 I am also a Member of the San Diego Museum of Art, Artist Guild, and the International Society of Experimental Artists. In San Diego, with 5 of my artworks at Ashton Gallery on 30th Street there is a group show called, C-NOTE, and it runs through the holidays until January 6, 2018. People can buy artwork right off the wall. Once a long-time resident in the SF Bay Area, specifically in San Jose, I am now living and loving Southern California. We moved into the new home on December 8, 2017 and I feel it will give a boost to my creative life.